This shows the power of Twitter. Or just the power of a billionaire on Twitter. At around 2:20 p.m. 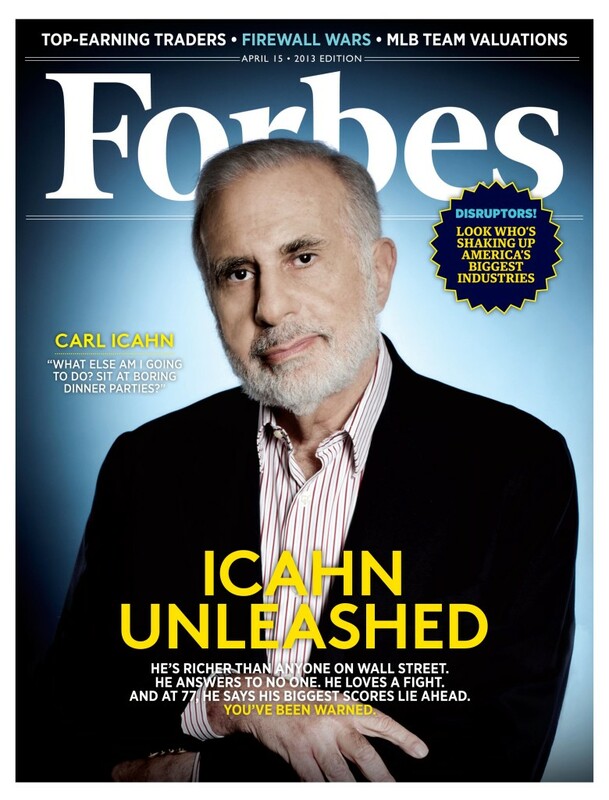 ET, legendary investor Carl Icahn tweeted that he has a huge stake in Apple and then the stock jumped! Apple’s shares, which had been trading at $475.77 went vertical, gaining nearly $9 in less than 3 minutes. By 3:35 p.m. they had touched $494.66. How many shares Icahn purchased, and what he plans to do with them — besides watch their price rise just because he tweeted about them — all remains for now a mystery. “Some people get rich studying artificial intelligence. Me, I make money studying natural stupidity”.